this is pretty neat! great art and sounds! i was really confused at first, but i eventually found the menu and the color guide (after losing a few of my babies!) which did help quite a bit. i probably should have looked at the tips on the game page as well before playing! as someone with mild color blindness, it was a bit hard to tell what my chameleons needed. if you use reds and greens try to make them different values/saturations from each other (same with blue and purple). those are the most common colors for people with colorblindness to distinguish between, and making them as different as possible will help us a lot! i would suggest cutting down a bit on the pixel noise/texture and using more areas of flat color. 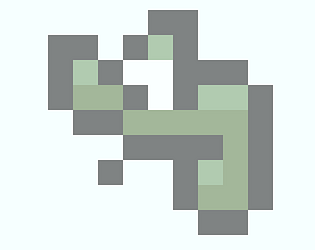 i think that will help make the condition of the chameleons more readable. 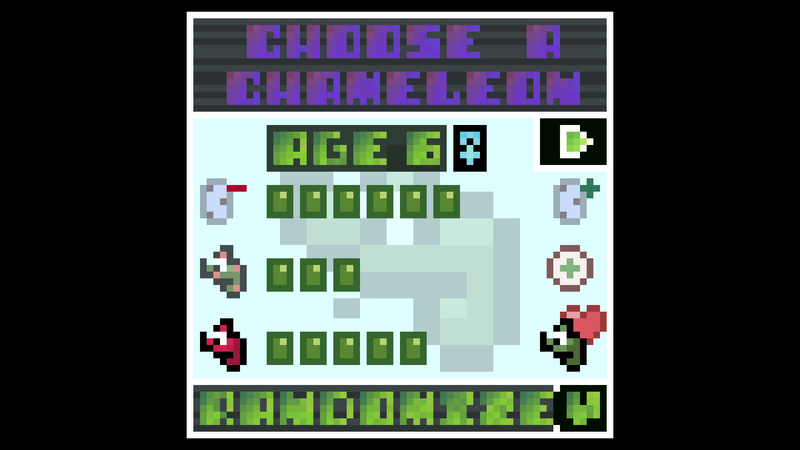 you might also consider using some icons above the chameleons to tell the player what they need. Thanks for playing and for the feedback. Thanks for playing and for the feedback. Glad you enjoyed it. The goal is to get them to breed and then to get the egg to hatch. You do this by keeping chameleons alive and within a sweet spot of conditions. The chameleons’ needs are conveyed through their colour. 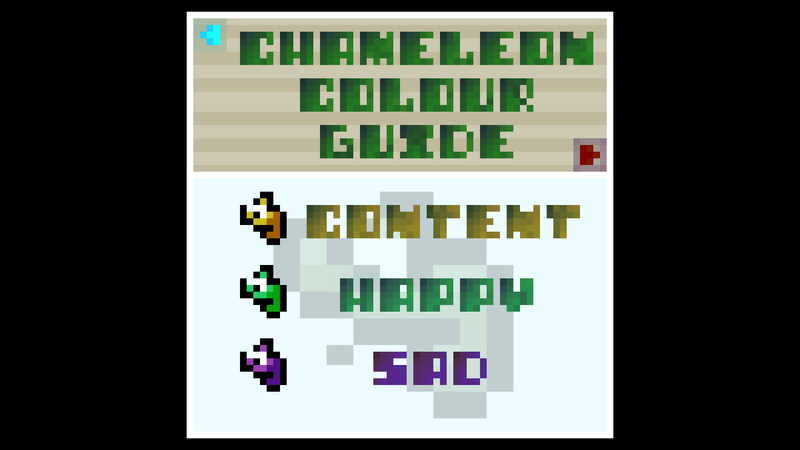 A colour guide can be found in-game (but is not obvious to find and this isn’t something I admit I need to change) for instance, red is hungry, blue is thirsty, green is happy (more likely to breed), light shades are warm temp and darker shade are cool temps etc. There is also a YouTube video of how to get to the guide on the game’s page. Haha! I’ve never made a sim game and wanted to have a go, thank you for playing and your kind words. Noted about the full screen mode, I suppose I was thinking it’s easier on smart phones if it’s fullscreen to touch the icons, but it should be optional yes. The first time I played I didn't get it, but then I played a second time and it's actually pretty funny. I have one question. The animation of when they're changing color, is it done in real time or is it an animation done with by yourself? It's a nice entry btw. Well done. Thanks for playing. I know, I get the feeling that I need to have some kind of tutorial option in the main menu haha. Glad you gave it a second chance though. The chameleon colour change is a shader, saved me animating time! 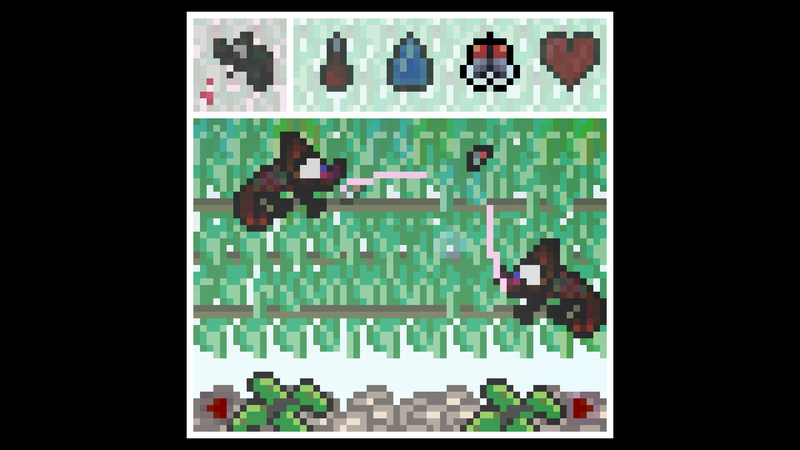 Very hard to figure out what to do in this game to care for the pets. Thank you for playing and for the feedback. I was concerned this may be an issue and will make this a priority when I update the game. It’s a tap styled game, everything apart from naming to be played using mouse clicks or touch. The aim of the game is to care and breed for chameleons, using their colors as a guide to their needs. 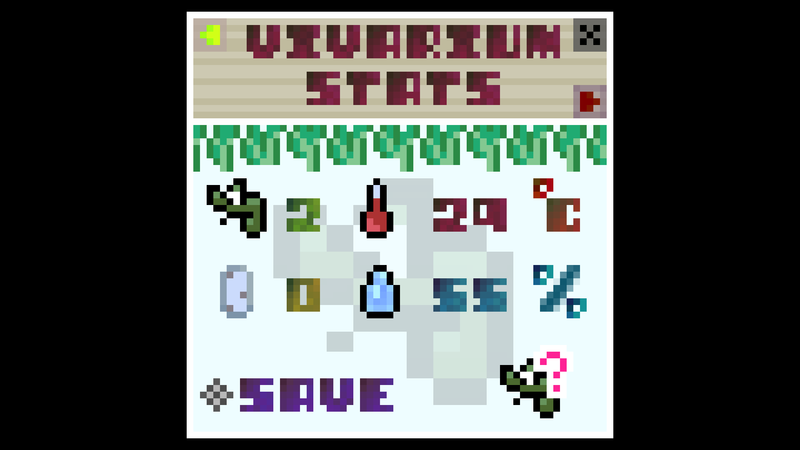 The chameleon and egg colour guide can be accessed in-game by touching the chameleon button icon (top left) to activate and then touching again to pause and open statistics. Touching the chameleon ? Icon will bring up the colour codes for you to learn to assess chameleon needs intuitively.